Algeria activists fear tougher police tactics after Friday clashes - SABC News - Breaking news, special reports, world, business, sport coverage of all South African current events. Africa's news leader. Protesters rally against the Algerian ruling party at the Place de la Republique in Paris. Friday’s initially calm protest in central Algiers deteriorated into the worst street violence seen so far since marches began in mid-February demanding an end to the 20-year-rule of president Abdelaziz Bouteflika, who finally resigned on April 2, and his regime. 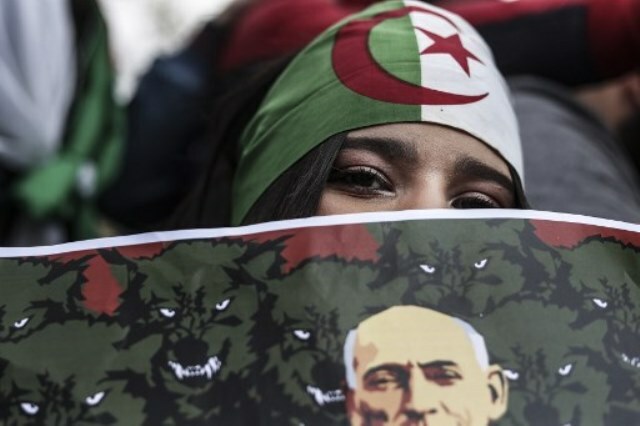 “Friday’s mobilisation was different because of the scale of the repression,” according to Said Salhi, vice president of the Algerian League for the Defence of Human Rights. It said several activists were arrested on Saturday as they prepared to return to the key protest site at the capital’s main post office, condemning the action as “harassment”. Demonstrators have vowed to push on with rallies against the interim government of Abdelkader Bensalah and its planned July 4 elections, arguing that leaders who emerged from the Bouteflika “system” cannot guarantee free and fair polls. Political scientist Cherif Driss said that, while the demonstrations have continued unabated, “the police are trying to refocus, and are beginning to reduce the public space for expression”. At Friday’s clashes, AFP journalists saw some demonstrators placing themselves between rioters and police, raising their hands and chanting “silmiya” (peaceful) until the situation calmed. This entry was posted on 15 Apr 2019,11:04AM at 11:04 AM and is filed under Africa. You can follow any responses to this entry through the RSS 2.0 feed. Both comments and pings are currently closed.